John had always enjoyed studying the Bible, and felt an increasing desire to share his knowledge with others. He was wondering about a possible career change to becoming a pastor or college professor. He decided that teaching an adult Bible class at his church would be a good next step for exploring the area of teaching. After talking with the pastor of adult education, he scheduled John to teach a three-week series on Philippians the following month in the young adult class. John spent many hours studying, writing up his teaching notes, developing handouts and praying about teaching this series. He felt he had done everything he could to prepare for the class. The Sunday came for his first session. Excited and nervous, he began the class. When the class ended an hour later, he felt many emotions-none of them positive. The class time had not gone well. People seemed uninterested and even bored. When he asked questions, he got no response. When he asked if they had any questions, he got no eye contact. When the class time was over, people seemed to rush out the door. He sat in the empty classroom feeling like he had failed. Choosing to Learn from "Failure"
John faced a critical choice: he could either look at this experience as a terminal failure or as a learning experience. Faced with a similar situation, many people would think "I guess I was mistaken about teaching. I'm no good at it. I sure don't have the spiritual gift of teaching. I don't know what I was thinking about even trying it. I'll never make that mistake again! I'll stick to what I know I can do." Having fallen short of their goal, they label themselves a failure and become fearful of trying anything new. Although he inwardly cringed when he thought about the class experience and his very public "failure," John realized that this experience would only have value if he learned from it. So he made an appointment to talk to the adult education pastor. Feeling rather embarrassed and concerned about what the pastor would think of him, he nonetheless gave an honest account of what had happened the previous Sunday. He admitted he didn't know what had gone wrong or what he needed to do differently. John's willingness to use the experience to learn all that it would teach him became a key juncture in his life. During his time with the adult ed pastor, he found out that many of the people in the young adult class were new Christians with little background in the Bible. Several of them were dealing with difficult family issues and financial struggles. Many felt they were just surviving life and were looking to the church to provide a lifeline. John had an "Aha!" moment. He realized that he had been focused on the content he wanted to teach but hadn't looked at the needs of his listeners. He had given them a good advanced-level introduction to the book of Philippians, but totally missed showing them how the wisdom and truths of the book related to their everyday lives. He hadn't made the content come alive for them. Henry Ford said that "Failure is simply the opportunity to begin again, this time more intelligently." The next Sunday, John began class by admitting the mistakes he had made the previous week. For the first time, the class' eyes showed real interest. He then asked the class members why they came to this class, and what they hoped to learn. His vulnerability in sharing his "failure" with them enabled them to be open about their lives, needs and hopes. John was then able to take the biblical content of the day's lesson and demonstrate how it related to the lives of the young men and women in his class. Interest, energy and interaction characterized that second class session. John went on to become someone whom others referred to as a "gifted teacher." That never would have happened if he had not chosen to learn from his initial "failure." The message of Romans 8:28 is that God uses everything in our lives to transform us into the people He means us to be. The purpose of "failures" is not to discourage and break us, but rather to provide us opportunities to be broken down and then built up into all God intends for us to be. "Failure" most likely will be an inherent part of living your calling because you will be growing and doing new things. 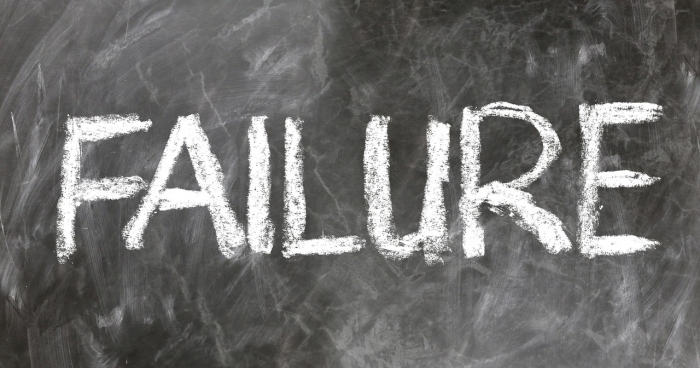 The key is to see a "failure" as a learning experience and not as a character trait. You may fail when you try something, but that does not mean that you are a failure. You have only failed when you refuse to learn from the experience. Max Lucado, best-selling author of more 50 Christian books, recounts that he had to send his first manuscript to at least fifteen publishers. "‘Nobody wanted to publish it,'" he said. He didn't get discouraged enough to quit, however. "‘Every time I got the manuscript back, I thought, Well I'll just try another publisher,'" he said. His millions of loyal readers are grateful he did! Colonel Harland Sanders, a committed Christian, had tried a number of unsuccessful business ventures. At the age of 65, he decided his fried chicken with its secret blend of 11 herbs and spices was the right idea. He refused to give up in spite of 1008 sales calls to restaurant owners that ended in rejection. Prospect number 1009 was the first to say "yes." Colonel Sanders said that his faith took him from living off his $105 monthly pension check to running a $285 billion company. Chuck Colson was President Nixon's right-hand man. As one of the major players behind the Watergate scandal, "he underwent intense media scrutiny, congressional hearings and ultimately, prison. ‘I thought my opportunity to accomplish anything really significant in my life was over once I was in prison and public enemy number one." However, "in the past 27 years since I've been out of prison, I've seen how God has used my broken experience for His greatest glory....Anything said about me has to be a reflection of the great things God has done, not Chuck Colson. I'm able to do what I do today because of the greatest failure of my life.'" Christian author Madeleine L'Engle sold three books before she was 30. During the next decade, however, she only sold two books, neither of which was a great success. On her 40th birthday she received yet another rejection from a publisher. She covered up her typewriter and cried. Then she wrote in her journal, "I'm a writer. That's who I am, even if I'm never published again." She did work on another book, A Wrinkle in Time, which was rejected nearly 30 times before it sold. It won the American Library Association's Newberry Medal for Children's Literature and has been read by millions of people. Norman Lear made it into a movie. Published in 1962, she sold nearly a book a year for the next two decades. " ‘Over the years,' L'Engle says, ‘I've worked out a philosophy of failure which I find extraordinarily liberating. If I'm not free to fail, I'm not free to take risks, and everything in life that's worth doing involves a willingness to risk failure.'" Ted Engstrom said, "We must expect to fail...but fail in a learning posture, determined not to repeat the mistakes, and to maximize the benefits from what is learned in the process." "Failures" are not meant to be stop signs, but rather road signs that indicate we are "Under Construction." "Failures" need not increase our fear; God wants to use them to increase our faith and dependency on Him. Our reaction to past failures, unrealized dreams, regrets, mistakes...and our fear of future failures can keep us from becoming the people God created us to be and doing the things he created us to do. God is the Master Weaver, using everything-including our "failures"-to create a pattern only He can see. Some failures require that we confess sin and disobedience before healing can begin. Other failures are simply the result of being in a learning mode. God is at work in every facet of our lives, wanting to use all of our experiences to bring us closer to Himself. Our part is to trust Him and to ask Him to show us what we need to learn in order to grow. Your "failures" may very well become the centerpiece of a beautiful design God is creating in your life. How has God used "failure" in your life? Add your comments at the Christian Career Center facebook page.